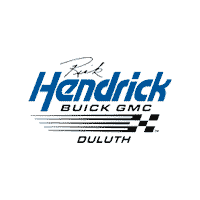 Rick Hendrick Buick GMC Duluth is proud to offer a large selection of new and used cars, trucks, and SUVs to the customers of Duluth, Atlanta, and Buford. Our inventory includes all of the new 2018-2019 Buick and GMC models that you know and love. Our Buick Enclave and Buick Encore are ideal for Atlanta area families looking for a reliable and comfortable SUV. If you’re looking for a new SUV with lots of space and excellent fuel economy, check out the Buick Enclave. For those looking for a smaller SUV with a smooth ride and nice interior, check out our Buick Encore. Popular GMC models include the Sierra 1500, Acadia, and Terrain. The Sierra 1500 is tough, rugged, and has excellent towing abilities. The GMC Acadia is a great mid-size SUV that offers a smooth ride around Duluth. Regardless of what you’re looking for in a new car, truck, or SUV, our friendly and knowledgeable sales staff can help you find the vehicle to fit you.